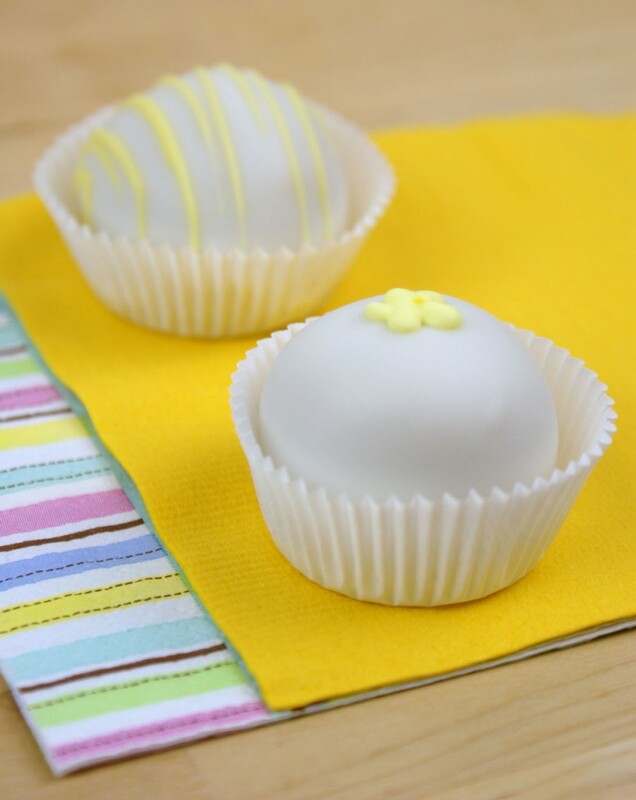 Golden Oreo Truffles rolled with fresh lemon zest, dipped in Vanilla CandiQuik! 1 package (8 oz.) Cream Cheese, softened! Finely crush Golden OREOS (including the middle icing) in a food processor, or place cookies in a sealed bag and crush with a rolling pin. Now, in a medium sized bowl: mix softened cream cheese, Golden OREO crumbs and lemon zest until well blended. Roll mixture into 1-inch balls and set on a wax lined baking sheet. Freeze for 10-15 minutes or until firm. Just before you pull the balls out of the freezer, melt the Vanilla CANDIQUIK® according to the directions on the package. With a spoon, dip balls in melted Vanilla CANDIQUIK; allow excess to drip off and set on wax lined baking sheet. Decorate as desired.